Arc and circle dimensions are not as common as linear dimensions (See Part I), but they are still often used. Here are the basics for getting accurate results. Go to Home tab> Annotation panel> Dimension drop-down menu> Radius. 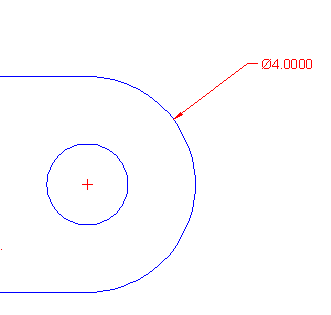 An alternative is Annotate tab> Dimensions panel> Dimension drop-down menu> Radius. At the Select arc or circle: prompt, select an arc or circle. At the Specify dimension line location or [Mtext/Text/Angle]: prompt, pick a location for the dimension. An R is automatically added before the dimension text. Sometimes, when dimensioning an arc, you want to display the dimension on a part of the arc that doesn’t exist. Well, that’s easier to show than to explain. You can create an extension arc that extends past the end of an arc so you can place the dimension anywhere you want. 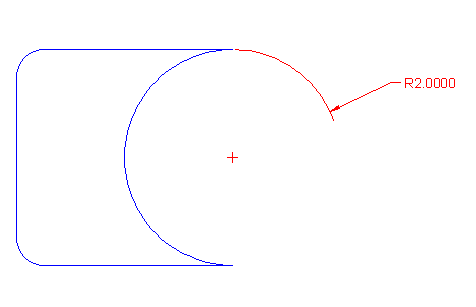 As you place the dimension, move the cursor past the arc’s endpoint and continue to the desired point, as you see here. At the Specify dimension line location or [Mtext/Text/Angle]: prompt, pick where you want the dimension line to appear. A diameter symbol is automatically added before the dimension text. 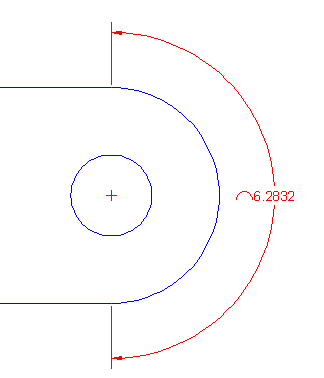 Choose Annotate tab> Dimensions panel (expanded)> Center Mark (the DIMCENTER command). At the Select arc or circle: prompt, pick the arc or circle you want to mark. At the Select arc or polyline arc segment: prompt, select an arc. At the Specify arc length dimension location, or [Mtext/Text/Angle/Partial/Leader]: prompt, pick to place the dimension. The Partial option lets you dimension part of an arc. Specify where you want to start and end the dimension. The Leader option inserts an arrow pointing to the arc. Please leave a comment to share any tips you have for dimensioning circles and arcs.